With exceptionally windy conditions throughout the day it proved difficult for the competitors and a number of anglers had to give up fishing using pole. As soon as the whistle had been blown the heavens opened and gave the competitors an unpleasant first hour of fishing. However, it wasn’t bad for everyone with the eventual individual winner Pete Mizon claiming five fantastic bream in the first 45 minutes of fishing. 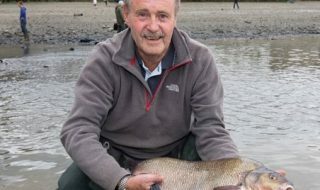 Within half an hour Pete had four fish under his belt and even lost what looked like a two pound bream before going on to claim victory with a winning weight of 7.380Kg. 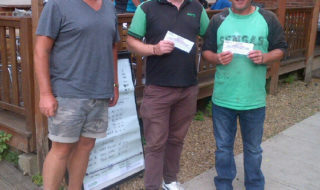 His nearest competitor in second place was Kevin Brooks fishing for Macclesfield Waltonians with a weight of 5Kg. In third place was Peter Kay from Gerrards Cross with a weight of 4.750Kg. 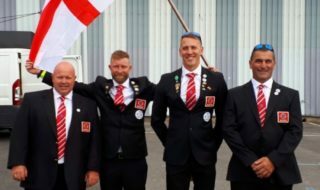 It was a great day for Team Raiders AC who fished only their second national yet achieved their second promotion in two years. They were an impressive 53 points ahead of second place Luton AC who finished with 428 points and a weight of 14.850Kg. <?xml:namespace prefix = st1 ns = "urn:schemas-microsoft-com:office:smarttags" />Luton was helped to second place with a fantastic performance by Ian Browne who recorded the biggest weight of K section with 2.590Kg. It was a great day overall with a number of anglers saying how well the day had gone and how fantastic the presentations were. 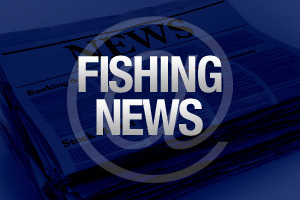 Overall 10 teams will be promoted to Division One and there will be no demotions unless a team did not fish on the day.